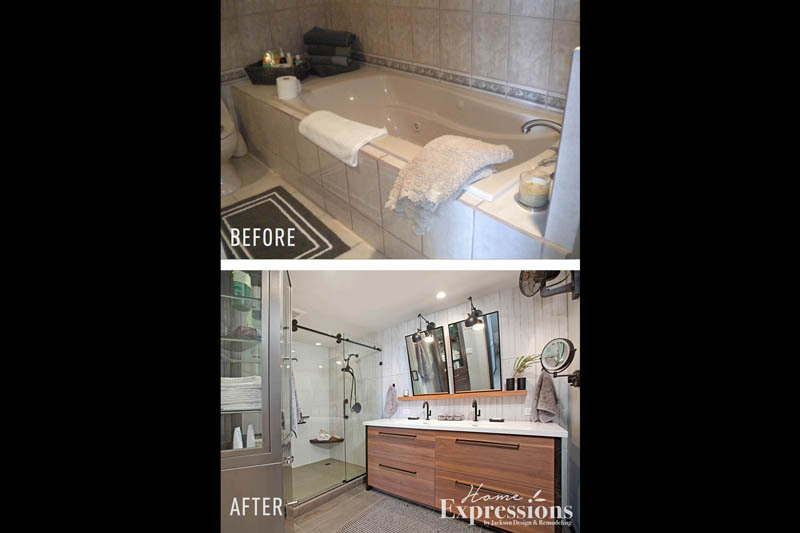 A careful composition of elements makes this master bathroom an invigorating retreat from the ordinary. 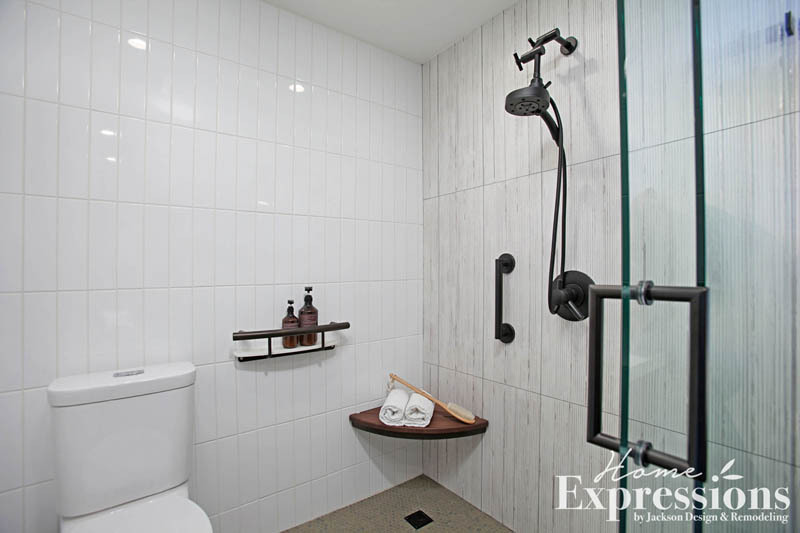 Several layers of tile in intriguing textures add depth and visual interest to the space. 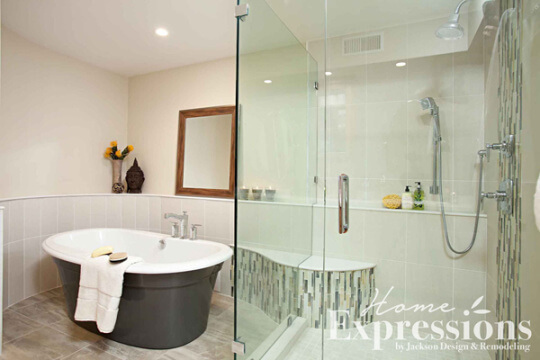 The shower walls operate with a sliding barn door system that is sleek and functional. Distinctive lighting, a pharmacy style cabinet, and cabinetry trimmed in black, all contribute to a sense of adventurous design. 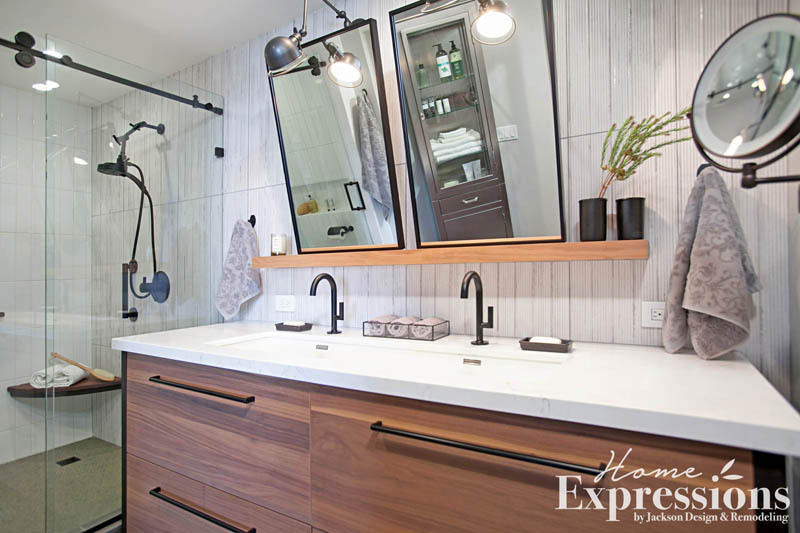 Lush with elegant materials and thoughtful details, this stunning master bathroom is a relaxing sanctuary. A pair of unusual blue vanity sinks are a memorable design choice.